Our client requested a room divider aquarium that would be a major feature in his flagship restaurant at Liverpool 1. 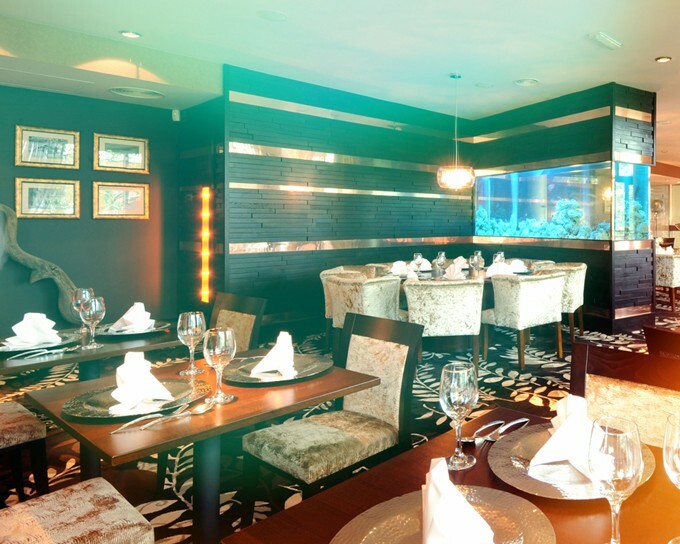 The large aquarium extends through the restaurant and into the cloakrooms where it acts as a room divider. Due to its size and weight the aquarium was built on site over the course of a day. Two weeks later it was ready to be filled and set up.